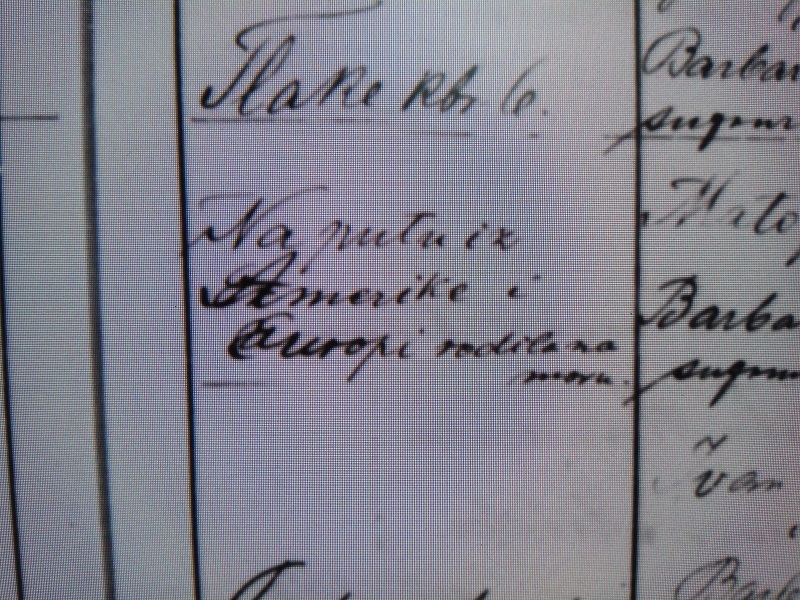 Emigration as a consequence of great poverty and hunger wasn’t such an uncommon occurrence in that time period in Croatia. First the men left to find jobs in coal and iron mines, and after some months (sometimes even years) the girlfriends, fiances and or wives followed. Numerous people who emigrated in that period stayed in America, So it’s not surprising that some cities in like Pittsburgh, Pennsylvania, Cleveland, Ohio and Chicago, Illinois, have many Croatian descendants. We will probably never know what happened in America that a pregnant woman decided to return to her hometown. It’s fun to imagine a lot of different scenarios. Maybe the baby’s father perished in a mine accident… Maybe the fiances had one final fight and decided to part ways… Or maybe the mother just couldn’t adjust to that new life so far away from her homeland and family… In any event, let’s hope that the mother and child had a long and happy life back home!